From the rolling hills of the east to the wild moorlands of the west, the county of the Scottish Borders is home to an incredible diversity of landscapes. Found alongside these natural features are the remnants of numerous abbeys, castles and hillforts, symbolic of a turbulent history. These natural and historical features have all helped to shape this melting pot of an area. Although perhaps somewhat unfairly overlooked by visitors heading to the Highlands, the inhabitants of the region have continued to be fiercely proud of their Scottish history and their beloved land. 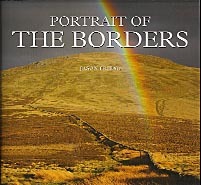 Award-winning photographer and writer Jason Friend has photographed the Borders numerous times, throughout all the seasons and in all weathers. His love for the place shines through this superb collection of over 140 full-colour images which truly capture the perfection of the Scottish Borders. Jason Friend lives in North East England close to the border with Scotland. He is a regular contributor to Outdoor Photography and CountryWalking Magazine and supplies images to a number of worldwide image libraries. This is Jason’s third book – his previous work, The Cumbria Way, having won the prestigious Outdoor Writers’ Guild Award for excellence in photography.